Claim To Fame: Veronica Hamel is an American actress and model best known for playing Joyce Davenport, the dedicated public defender who also happened to be the love interest of police captain Frank Furillo, on the long-running TV series Hill Street Blues from 1981-87. Family Life: Married Michael Irving in 1971, then divorced in 1981. Info: Graduated from Temple University. A former fashion model, discovered by Eileen Ford. In 1972 she and her then husband became the new owners of Marilyn Monroe's Brentwood home. They hired a contractor to replace the roof and remodel the house, and the contractor discovered a sophisticated eavesdropping and telephone tapping system that covered every room in the house. The components were not commercially available in 1962, but were--in the words of a retired Justice Department official--"standard FBI issue." This discovery lent further support to claims of conspiracy theorists that Marilyn had been under surveillance by the Kennedys and the Mafia. The new owners spent $100,000 to remove the bugging devices from the house. Trivia: She was considered for the role of Kelly Garrett on Charlie's Angels, but reportedly declined the role. Jaclyn Smith was cast instead. The last commercial on American television for cigarettes was for Virginia Slims and featured Hamel and aired on January 1, 1971 at 11:59 p.m. EST during a break of The Tonight Show Starring Johnny Carson. She was a five-time Emmy nominee for her role as Joyce Davenport on Hill Street Blues. 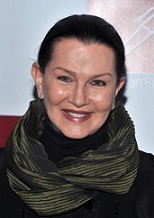 Where Are They Now: Veronica Hamel seems to have retired from acting, unofficially. She hasn't been on television screens since the late 2000s. Hopefully, a great project will find her. It would be nice to see her again.